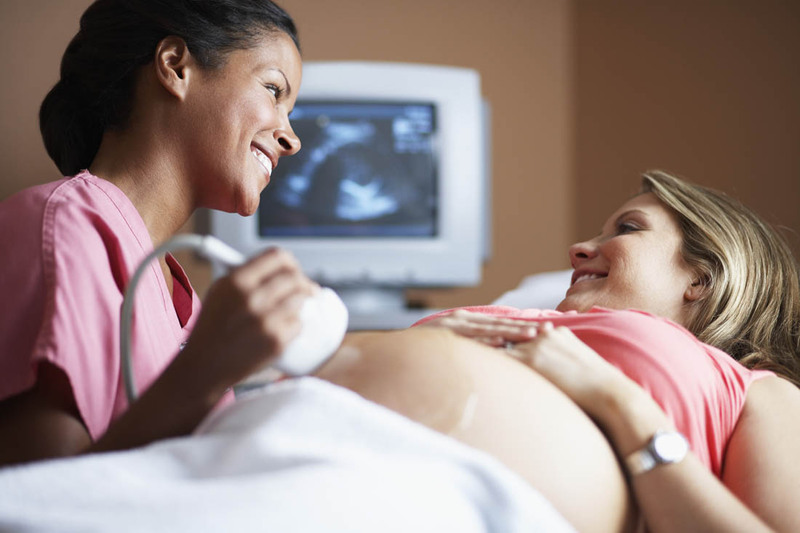 What Makes a Great Sonographer? Interested in learning what makes a great sonographer? Compassion and quality training are just the start. Diagnostic medical sonography is increasingly more important in the application of modern medicine, and quality, trained sonographers play a vital role in today’s healthcare. What qualities make up a truly great ultrasound technician? Training, skills, and personality traits are all vital, and below we’ll discuss the 6 traits that differentiate the good from the great. It is clear that working as a diagnostic medical sonographer is an excellent career path for many, but is it the right choice for you? Let’s look at some of the key personality traits, skills and qualities of a great ultrasound technician. Although working as an ultrasound technician is challenging, if you have what it takes, it is an incredibly fulfilling and rewarding career. See how these skills are used in an average day in the simulated profiles we created below. This was going to be Molly’s first ever ultrasound…and she was nervous. Her family doctor had ordered the test because Molly had been having irregular vaginal bleeding and pains in her lower stomach. After researching potential causes online about what may be causing these symptoms, Molly was worried. What Makes a Great Sonographer? In addition to knowing the technical aspects of the equipment, a sonographer must be able to carefully explain procedures to their patients, some of whom may be nervous about the exam or the problems it may reveal. A good ultrasound tech utilizes their skills of compassion and care to successfully complete the necessary diagnostic medical procedures. Luckily, as soon as she arrived for her appointment, the diagnostic medical sonographer immediately put her at ease. She was friendly and warmly explained what exactly was involved and asked Molly if she had any questions. Ultrasound technicians and diagnostic medical sonographers meet a wide range of patients, from those who are as calm as can be to those whose fear is at the top of the charts. And it’s not just for those tests that may potentially reveal bad news—expectant parents about to see an image of their baby for the first time may also be nervous. You don’t have to be a social butterfly to be a successful sonographer, but possessing genuine compassion and effective interpersonal skills are key. An ultrasound technician must be able to carefully explain procedures to their patients, some of whom may be nervous about the exam or the problems it may reveal. Speaking calmly with patients is key. Rob is a registered cardiac diagnostic sonographer. During the course of his echocardiography profession, he employs various ultrasound modes including 2-D, M-mode, and pulsed wave, color, tissue and continuous wave Doppler. He also has to properly maintain the ultrasound equipment, and ensure it is operating correctly. Of all the medical imaging modalities, ultrasound is one of the most operator dependent. Of course you won’t learn these job-specific technical skills until you start an ultrasound training program. But if you pick up on using electronics or any other form of equipment easily and have excellent eye-hand coordination in everyday activities, then you will have no problem gaining the technical knowledge required. Liam, a sonographer for several years, has always been interested in kinesiology (the science of human movement). He started hearing about an emerging trend—musculoskeletal sonography. While working his day job, he took the initiative to complete extra courses in MSK ultrasound. Now his ultrasound profession focuses on imaging bones, muscles and tissues among injured athletes. Continuous education makes you a better sonographer period, whether you want to advance your career or be effective throughout the span of your profession. From the time you begin your ultrasound degree until the end of your career, learning is an essential part of your role as an ultrasound technician. It is also important that you truly enjoy learning, because continuous learning and education will be a requirement to maintain your job and licensure. And again, continuous learning can also help you rise up the professional ranks, should you desire. Finally, to maintain ultrasound certification, you are required to complete continuing education courses. While performing an ultrasound, Lisa took in a deep breath. She had seen images like this before, but never while she herself was performing a scan. The woman she was performing the ultrasound on had complained of pain in her abdomen, and now Lisa knew why. The scan revealed signs of an ectopic pregnancy—the fetus was developing inside one of the fallopian tubes, not the uterus—and it looked like the fallopian tube had ruptured. While remaining calm, Lisa immediately let the physician know. The patient was sent for emergency surgery immediately and her life was saved. 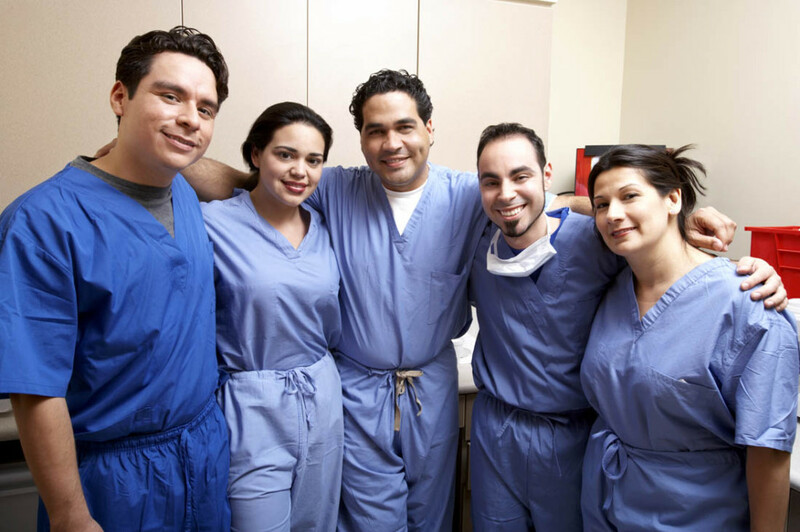 While ultrasound technicians and sonographers are not doctors, they play a vital role as part of the medical team. They need to be detail-oriented and share any potential concerns they may have with the physicians while presenting their findings—particularly in emergency situations. From understanding the intricate details of the human anatomy to the specialized functions of ultrasound equipment, as an ultrasound tech you must ensure utmost accuracy. It took some getting used for Valerie when she first started working as a sonographer in the hospital’s ultrasound department. Scanning eight or more patients in the course of the day, plus preparing exam rooms, moving ultrasound equipment from room to room, and sometimes helping patients position themselves onto the table took a toll; being on her feet for most of the day was tiring. But once she got used to the rhythm of it, it got easier. She made sure to wear comfortable shoes and started a regular stretching routines before and after her shifts. Now she loves the busy pace of her work days. There is never a dull moment and she finds this invigorating. “Diagnostic medical sonographers work on their feet for long periods and must be able to lift and move patients who need assistance,” states the U.S. BLS. An ultrasound tech may need to tap into extreme endurance and stamina to carry out their day. Additionally, while some positions are Monday to Friday, 9 to 5, others may require overtime, being on-call or shift work. It’s important that at the beginning of your sonography career you learn and practice healthy scanning practices. Sonographer and ergonomics expert, Joan P. Baker told us “90 percent of sonographers are scanning in pain or discomfort”. It is important to practice Self-Care. Keep Learning: 8 Stretches for Sonographers. Andrew was determined to get through the day successfully. His newborn baby had been up for much of the night before, so he was quite tired, plus he was scanning more patients than average today. Andrew took pride in his work as a sonographer and knew that his concentration must be one hundred percent for each scan he performs. Thinking positively and going for a walk and eating a healthy lunch during his break helped him still provide that quality care to each of his sonography patients. Being able to concentrate and focus is one example of mental strength required of sonographers. Additionally, ultrasound technicians have flexibility of mind and personality and the ability to display emotional stability, maturity, judgment and empathy for others. Ultrasound techs may have to make decisions independently in a potentially busy environment, so they must cope well with stress. Sonographers will come across dire health conditions among the images they capture. They must be able to emotionally deal with this—and practice healthy strategies to cope with the stress so it does not affect their entire life. They must also be able to remain professional with patients even if the most difficult of situations or prognoses arise. Dr. Traci Fox Dr. Traci Fox EdD, RT(R), RDMS, RVT is a full time Diagnostic Medical Sonography professor at her alma mater, Thomas Jefferson University. “I would say (students) have to have a passion for it. Don’t do it because you heard it pays well, don’t do it because somebody told you that there’s a lot of jobs in it…It has to be something where you’ve done the research, you know what the field involves and you say ‘Yeah I can see me doing that’”. Next Article: Interview with Dave Felix, Traveling Sonographer and President of SonoTemps Inc.